You may not think of your local department store as a hub of innovation. But technology drives almost every step of the retail experience. Here are five ways some companies are tapping emerging tech to provide ever more value to their customers. As retailers rev up for their busiest shopping season, they know some things never change: Holiday deal-seekers will race like mad through store aisles for the best Black Friday deals. Last-minute shoppers will wait until December 24 to make their purchases. Crowds will swarm stores the day after Christmas in a whirlwind of gift returns. The shopping experience itself, however, has undergone massive changes over the past two decades, especially as ecommerce has won over consumers and smartphones have become the must-have accessory. 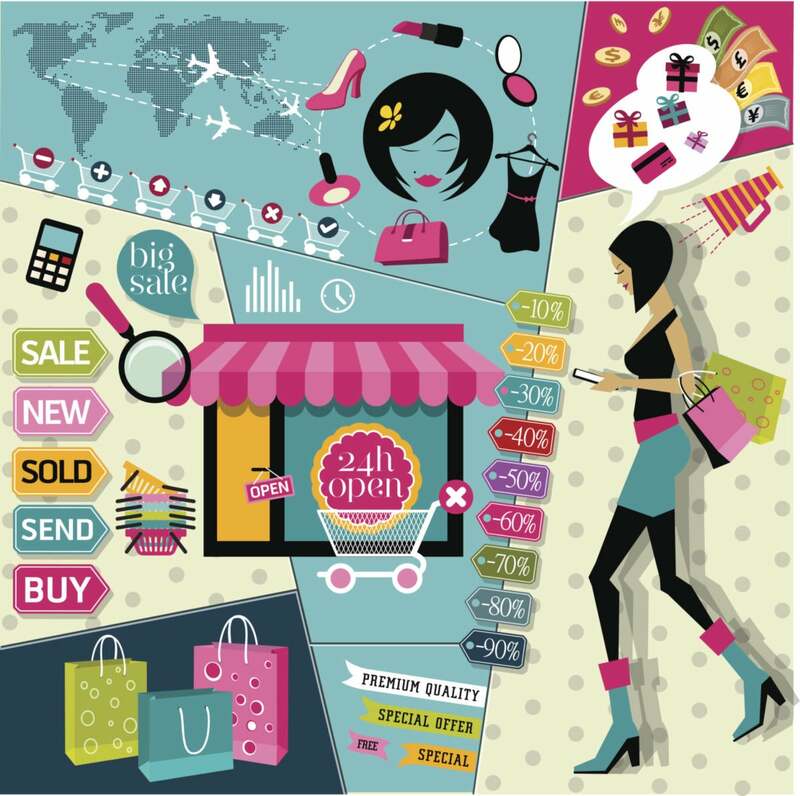 These days, retailers work around the clock to navigate a digital world that continues to evolve at a dizzying pace, while tech-savvy consumers have increased their demands for seamless experiences and personalized touches, wherever and however they shop. With millions of shoppers toting smartphones in their pocket or purse, it’s no surprise that proximity marketing, through the use of location-based technologies such as Bluetooth-connected beacons, is becoming more than a flash-in-the-pan – as retailers look for ways to provide more personalized, real-time messages, offers and promotions. Macy’s, for example, recently rolled out beacons to 4,000 stores using Shopkick’s offering, and Swirl’s platform and hardware is being used by clients including Lord & Taylor and Urban Outfitters. According to Business Insider, beacons will directly influence over $4 billion in U.S. retail sales this year and climb 10 times that next year. Biometrics, which uses technologies like fingerprint systems, facial recognition, iris scanning and voice identification, seems like a natural fit for retailers. Brands and banks that want to improve targeted marketing efforts and boost security. Biometrics Research Group predicts the global biometrics market to soar to $15 billion this year, up from an estimated $7 just three years ago. And, technology consulting firm Frost & Sullivan forecast that nearly a half-billion people will be using a smartphone equipped with biometric technology by 2017. “iPhone users everywhere rejoiced when Apple added the passcode fingerprint scan,” says Paley. “Expect more in this area as marketers embrace the potential.” Ecommerce security can particularly benefit from biometrics, he says – MasterCard, for example, is working to allow customers to complete ecommerce transactions with just a selfie, he explains, while Visa has introduced a specification that can authenticate EMV chip card transactions using multiple forms of biometrics. Mobile phones may not be no longer be cutting-edge, but the boom in mobile e-commerce certainly is, thanks to improved technologies and strategies. By the end of 2016, 25 percent of all retail ecommerce sales in the United States will take place via mobile devices, according to eMarketer. Turns out social networks are about more than just spreading the word. Over the past year, social giants Twitter, Facebook and Pinterest have all experimented with direct “Buy” buttons on their website. For instance, Twitter tested their “Buy” button in September with a small group of sellers and are now said to be teaming up with Shopify, which has about 100,000 merchants, and other ecommerce software companies. You don’t need to leave a physical store to get your digital fix. Instead, retailers are leveraging a wide array of in-store technologies meant to draw consumers in the door. “The physical store is on the cusp of significant transformation and disruption,” says Demandware’s Anderson. For example, retailers and brands such as Ugg Australia, Uniqlo and Neiman Marcus are using “magic” or “memory” mirror technologies, using RFID tags, which allow customers to try on virtual outfits in different colors and styles. Rebecca Minkoff has added text messaging and touch screen features in her stores that allow consumers to order drinks, browse the store catalog, and easily interact with store associates. Finally, Bloomingdale’s has experimented with mounting iPads in fitting rooms to allow customers to ask for help, read reviews and see what sizes are in stock.